Postage stamps for fictional countries, forged passports, and pâtisserie packaging. 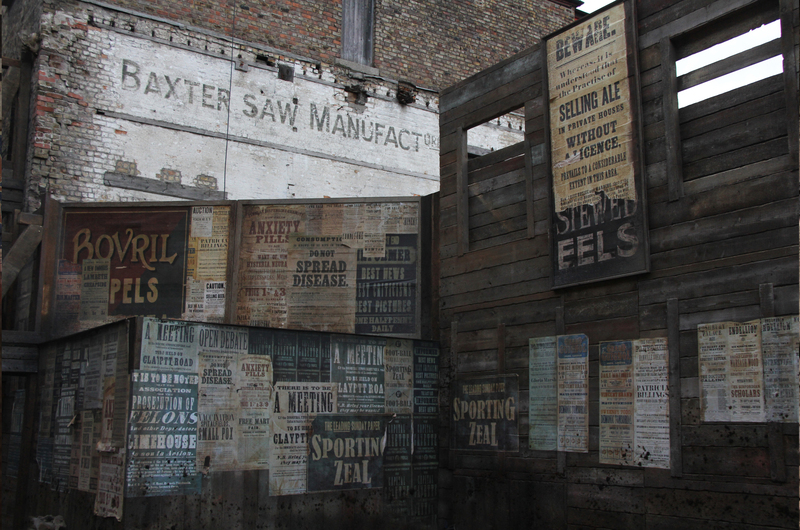 Annie Atkins creates all graphic elements that go in a film. We chatted with her about her super-niche profession. The IMDB goofs page for The Grand Budapest Hotel (2014) nitpicks at negligible continuity flops in the movie that most people usually miss out on. Once noticed, these minor production errors bring to mind the truth of not being in a faraway land called the former Republic of Zubrowka, but rather in your bed watching a Wes Anderson movie on your laptop. No real harm is done when the make-belief bubble bursts, obviously, but it’s the job of all people working on set to ensure you can truly submerge in the fable enfolding on screen. That way, you can remain blissfully unaware of the fact that the dramatic telegrams the characters are reading out, or the lavish ribbon-tied boxes in which they pack their courtesan au chocolats, are all graphic props created by talented designers such as Dublin-based Annie Atkins. As a lead graphic designer in The Grand Budapest Hotel, Annie handmade multiple copies of each production prop, to serve as replacements whenever a prop was torn or coffee was spilled. 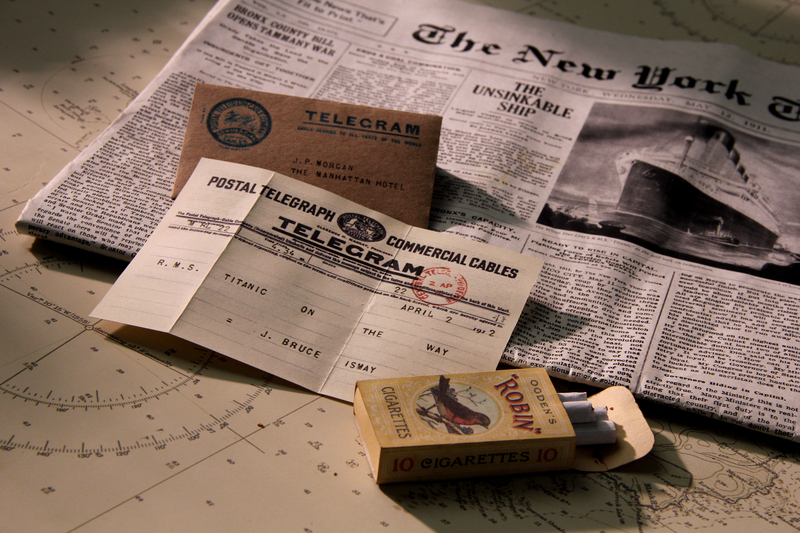 For a single piece of paper read during a train scene, for example, she created a dozen replicas. All twelve copies were flawlessly identical in their crafty Japanese paper, their rubber stampings and their typography that features a selection of vintage fonts, digital as well as typewritten. Despite the uncanny, almost-perfect resemblances, so it happened that one permit out of the twelve was missing a fold on its bottom left corner. As a result, policemen Henckels (played by Edward Norton) hands M. Gustave (Ralph Fiennes) a permit that appears folded in one shot and unfolded the next. Some keen-eyed viewers spotted the mishap, and called it out on IMDB. But this is not the kind of thing to shake a designer like Annie. If you ask her, that’s just another amusing quirk that comes with the job. 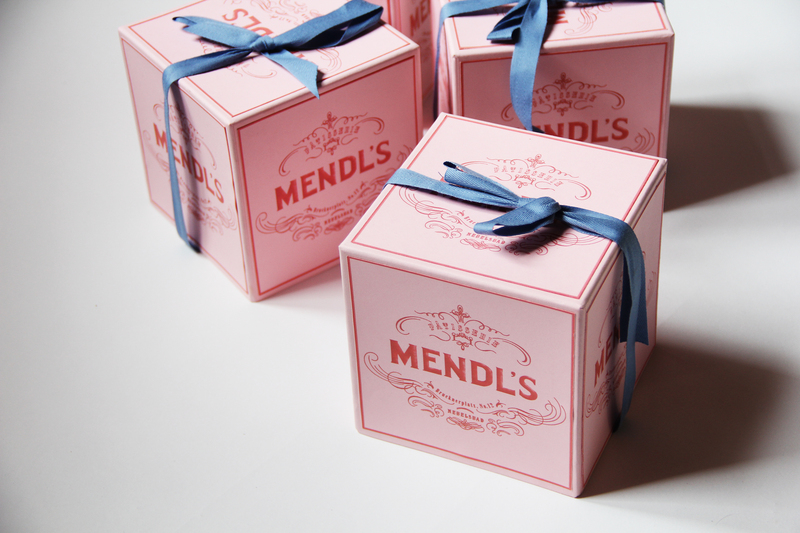 Mendl’s patisserie cake box designed by Annie Atkins for Wes Anderson’s 2014 film, The Grand Budapest Hotel. 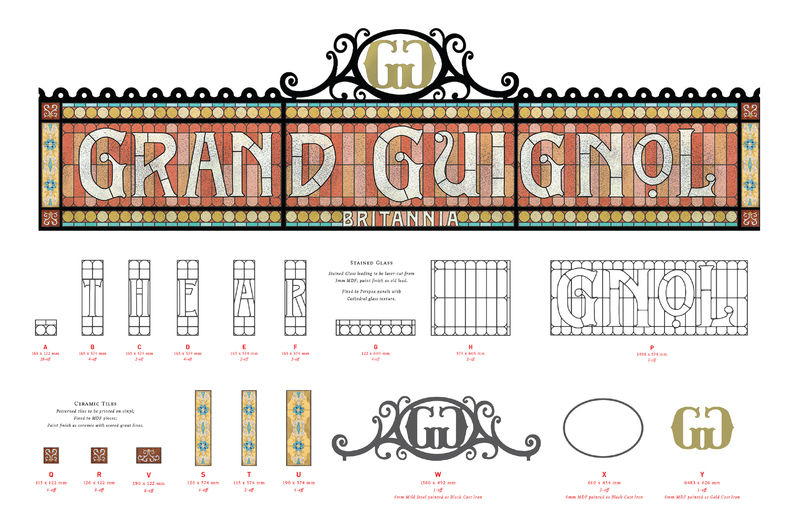 The job of a graphic designer for film is a very unique one. 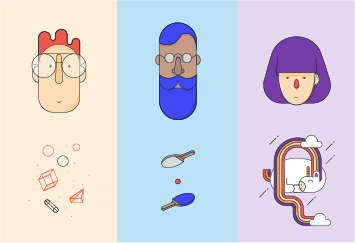 It’s graphic design at its purest in its relation to shape, type and image, but it serves a very different purpose than most graphic design jobs. Designing a political poster for the fictional Japanese leader Watanabe (as in Wes’ most recent release, Isle of Dogs), for example, is not meant to endorse this one political party or the other, and its design is not measured in election day votes. Instead, it’s expected to enhance the plot of the movie, shed light on the time and place it is set in, and reveal more information about the character itself. Annie has a degree in Visual Communication and yet another degree in Film Production. While this much schooling might not work for everyone, Annie stresses the importance of learning a bit of both worlds if you’re a designer looking to get into film. “It doesn’t have to be an entire degree, you can do short courses,” she suggests, “but it’s good to understand the filmmaking process.” And once you have your theory down, the next big thing according to Annie is to “copy, copy, copy,” she shamelessly asserts. “Never start anything without a reference. Find some inspiration, copy it, adapt it to the script, turn it into something that looks completely original.” For designers interested in learning more about graphic design for filmmaking, Annie offers her popular weekend workshops, in which she openly shares her best secrets of the trade. Her computer-free classes go back to ancient techniques such as feather quills and typewriters. The workshops are based in her hometown Dublin, and will also be visiting Los Angeles for the summer of 2019. Annie’s filmography is nothing short of impressive. Her rich repertoire prides stop motion animation as well as live action features, an Oscars for Best Production Design that was awarded to her team for The Grand Budapest Hotel, and blockbusters such as Steven Spielberg’s Bridge of Spies. “Working for Wes was an incredibly lucky break,” Annie tells us. “Working for Spielberg felt surreal after growing up watching his movies as a kid. It felt like a real honor getting to make pieces for directors who had made these incredibly tangible worlds for me as a member of a cinema audience.” As for her goals for the future? A Tim Burton movie, she tells us, would be a dream come true. “Please!” Annie implores, and we can only imagine the spectacle we’d get as a result. 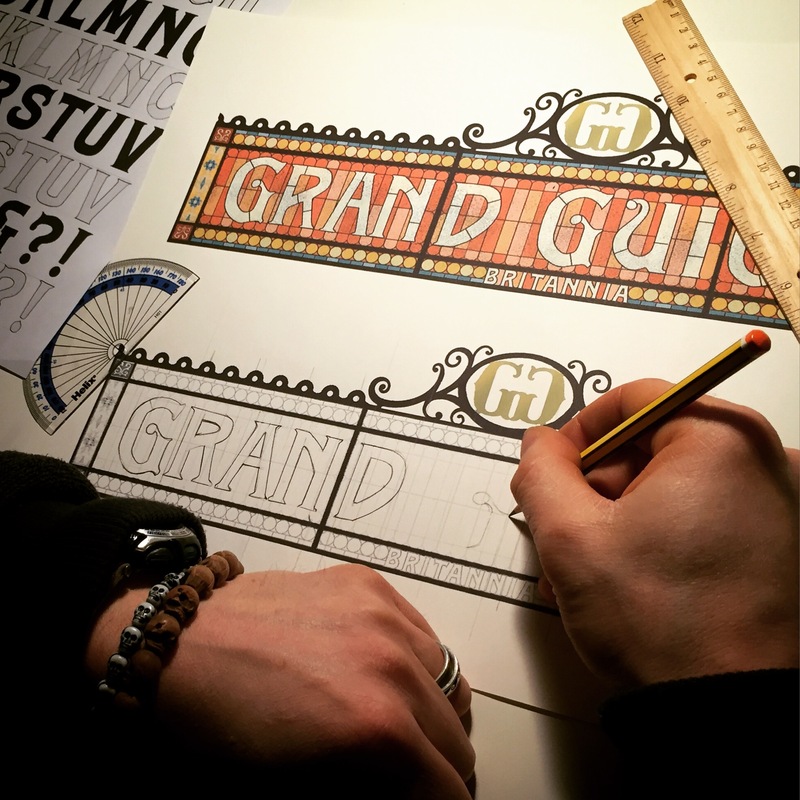 Want to go behind the scenes of Annie’s designs? Check out her Wix portfolio for her designs for film.